The Upper Iowa Peacocks won both games of the doubleheader to win the series with bemidji State. Upper Iowas took game one 8-1, then won game two 8-4. 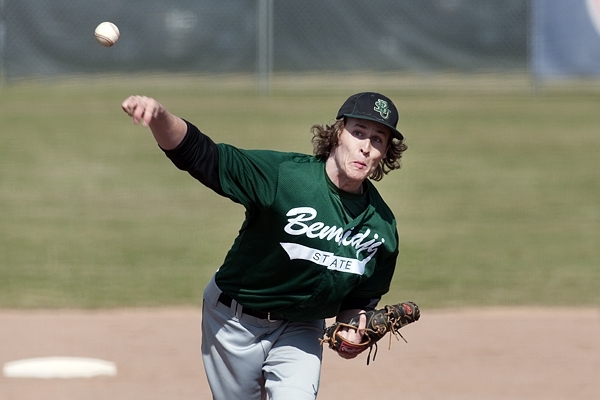 Bemidji State left 23 runners on base in the two games. Lewis Baumann hit a two run home run in game two. The Beavers will host St. Cloud State on Wednesday afternoon. The Beaver Radio Network will host a pregame tailgate party with free hots dogs and pop. A free will donation can be made with the proceeds going to the BSU baseball team and the March of Dimes. First pitch is set for 2pm.